4.2.1 Outline and promote viable community energy models. 4.2.2 Create resources that assist community groups to decide which model to adopt or to develop a new model. 4.2.4 Support the development of new energy efficiency, peak demand management, storage, bioenergy, thermal networks, and small hydro based models of community energy. 4.2.5 Support community energy groups in setting up and developing community off-grid or micro-grid systems and business models. 4.3.1 What is a community energy model? This sub-strategy outlines what is needed to clarify and document standardised “models” of community energy, which form the basic components of a project that can be utilised by or adapted by new communities across Australia. Increase the accessibility of existing viable community energy models. Create an environment that encourages and fosters innovation and development of new community energy models. A series of priority initiatives have been identified to help achieve these objectives. Currently, there are relatively few models of community energy that are viable in the Australian energy market context 1 and much duplication of effort is being undertaken to identify what these models are and how they work. Developing new models of community energy takes significant time, effort and a wide range of skills. This priority initiative, aims to identify the existing viable community energy models, analyse how the intellectual property is already being collected and dispersed (by organisations such as Embark), outline what is involved through easy to understand guides and templates, and promote these to groups interested in developing community energy projects. This would include creating a clear shared understanding of what the defining qualities and benefits are of each community energy model. The outcome of this priority initiative is to aid community energy projects to become operational more quickly and prevent the need for each new community to start from scratch. See Appendix E for progress on this priority initiative support through this National Strategy project, including a comparative table of model features, and other resources. See also Appendix F for information on understanding the cost structures of community solar and community wind models. While the number of viable models is currently small, communities need to understand the decision making process to determine which model suits their circumstances. The development and adaptation of models by community groups around the country has generated a significant amount of knowledge that can now be further harnessed to maximise the productivity of new groups. It is important to understand that the viability of any given model is co-dependent upon the prevailing context – policy, regulation, market, financing, community support, community capacity, etc. As a new sector, and one characterised by significant disruption, both positive, like the plummeting cost of solar PV, and negative, like the volatility of policy, the viability of any model can be short-lived before it is out-competed by a better model or outmoded by changes in context. As a result, community energy models need to be highly malleable and adaptable to maintain their viability within the constantly changing s context. Guide groups through the key steps involved in developing community energy models. One of the models of community energy is a partnership between communities and commercial renewable energy companies. This typically comes in the form of a community buying a part of a larger renewable energy project and thereby benefiting from the outcome of the project both economically and through an enhanced feeling (and reality) of ownership. If more commercial renewable energy projects were to take this approach it would substantially increase the breadth of community benefit and the number of community energy projects. This partnership approach also has a number of benefits for commercial companies as well, including but not limited to increased community support and social licence to operate. Thus promoting this model of community energy would help to achieve a more rapid scaling up of the community energy sector and the wider renewable energy sector. This partnership approach is standard in other parts of the world, particularly in Europe. However, it is a new approach in Australia and as such faces a number of barriers, including resistance within large renewable energy companies. Working with renewable energy companies to pilot community-developer partnership models and ensure they work to the benefit of both parties. Working with regulators to mandate or highly encourage this model through policy or regulatory interventions, as has been done in Denmark, the UK and in Australia in the ACT, as part of the ACT Government’s large-wind auction. While community energy can include all possible supply and demand-side sustainable energy projects, in Australia the majority of community energy projects in development are currently based on wind and solar. electricity generation. To ensure that a community approach to sustainable energy is applicable to as many communities as possible, and underpins a diverse renewable energy sector, models that utilise a wider range of technologies and demand side approaches are needed. 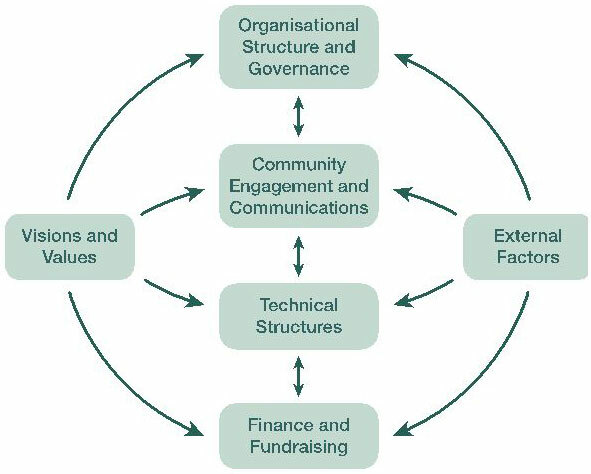 A range of actions will be required to achieve this, from some of the skills development initiatives outlined in the Capacity Building Sub-strategy, to the creation of appropriate market conditions using grant programs and various regulatory reforms (as outlined in the Finance and Funding and Policy and Regulatory Reform Sub-strategies). Currently, most models of community energy take the form of grid-connected electricity generation. This priority initiative would look at how the community can play a more active role in distributing energy, in addition to the more traditional energy generation and energy saving models of community energy. Internationally, there are a number of community mini-grids (e.g. the Isle of Eigg in Scotland) and places where the community has bought-back their grid – and/or manage the grid (e.g. Schönau in Southern Germany. ). Across Australia there are many communities that are not connected to the grid, or are in low population density areas on the fringe-of-grid, for whom centralised supply is subsidised. Those that are grid connected are facing increasing network costs associated with the significant network investment made in the period 2005-2014 across Australia. The growing risk of customers disconnecting from the grid on economic grounds, combined with the number of off-grid or fringe-of-grid communities means there is a potentially strategic role for a more community orientated approach to distributing energy. The best approach to explore this potential would be a series of funded pilot projects with complimentary policy and regulatory reform work as needed. Building on the work done by Moreland Energy Foundation on a low-income residential solar PV program backed by a council rates mechanism, similar to an Environmental Upgrade Agreement (EUA) facility, there is scope to expand this model of community energy. Currently, the NSW government is undergoing a review of EUAs and other states are investigating their implementation. This priority initiative will work to establish both an EAU model of community energy and the supporting policy conditions that enable the use of EUAs as a financing mechanism that addresses the capital intensive nature of renewable and other sustainable energy solutions. The Australian renewable energy sector has been heavily influenced by policy instability resulting in boom and bust cycles. As such, there is interest in the community energy sector to develop a model that works as well as possible regardless of the state of government policy interventions. This is a substantial challenge, due to a range of factors such as the highly centralised nature of the Australian electricity sector, low wholesale electricity prices and regulatory barriers precluding economically viable grid export. Nonetheless, this priority initiative would help future proof the sector. In the short term, an example of an independent model might be crowd funded donation-based solar on community buildings. (for example CORENA, Clean Energy for Eternity or Peoples Solar). This priority initiative would be carried out alongside the range of priority initiatives outlined in the Policy and Regulatory Reform sub-strategy, that outlines ways to increase policy certainty and support for community energy. The unique combination of decisions that are made for each of these five components influenced by a range of external factors distinguishes one community energy model from another. A model of community energy is distinct from an individual community energy project. which is the individual application of a model of operation and delivery to a specific location. Given that each community energy project will be situated in a unique setting and surrounded by unique conditions, no two community energy projects are likely to be exactly the same. However, two projects may be considered to employ the same ‘model’ if the majority of formative factors are common. The ClearSky Solar trust model of community energy is an example of a Community Energy Model which includes numerous projects (see Appendix E for a detailed outline of the ClearSky model). While each of the six community solar installations ClearSky has installed (at the time of writing) are slightly different (size, location, investment amount), the mechanism of organisational structure, raising of finance and communications are significantly similar to be considered a discrete model of community energy. This is popularly referred to in the community energy sector as the ClearSky Solar trust model. Community energy projects come in many different shapes and sizes. Community energy projects that are more strongly embedded in their community are typically driven by members of that community. As such, the model of community energy developed is in large-part shaped by the local community needs, local availability of natural resources, technologies and funding, as well as levels of community support. Thus, there is a significant level of diversity in the models of community energy around the world. Developing a successful model of community energy that is both economically viable and beneficial to the community is challenging. The US National Renewable Energy Laboratory describes it as “solving a rubiks cube of variables” 3. For example, there are significant challenges in securing an “off-take” agreements (electricity sale for community energy projects and the associated implications for the financial viability of a project). The fact that the sector is new, with innovation occurring quickly and many groups working in isolation has led to a significant duplication of effort by groups developing community energy projects across Australia. This strategy has identified three key needs that the priority initiatives outlined aim to fill. The need to refine existing and develop new models of community energy that can be easily adapted and scaled (in number rather than in size). The need to develop resources that make it easy for community groups to understand and start to implement and adapt existing models. The need to communicate and widely publicise these models, tools and resources and build the capacity of groups to use them (note that priority initiatives associated with the latter need are outlined in the Capacity Building Sub-strategy). Within this context, an important tension must be recognised – in seeking to develop scalable and replicable or adaptable models of community energy, some of the potential diversity of community energy models may be lost. If the community energy sector is to achieve its full potential, both in terms of scale and deep benefits to the Australian community, a focus on fostering an environment where new models of community energy can be developed must be retained. That is, the sector must be able to scale and replicate, but also maintain a commitment to innovation. The Community Energy Model Maturity Index (Appendix D) has been created through this project to help policy makers to understand the stages projects and models will go through and to facilitate creating the conditions that both foster innovation and allow community energy models to mature and replicate. Further, many organisations have invested significant time and resources in developing new models of community energy and as such they are considered organisational intellectual property. As such, any priority initiatives that aim to facilitate the more widespread promotion of these models, must approach the task sensitively and negotiate arrangements that will bring mutual benefit to both the original organisation and the wider community energy sector. Whilst significant work has been done to collate, describe and share the various “models of community energy” operating or in development through organisations such as Embark, there is still opportunity for greater development and promotion of models as they more rapidly emerge on the Australian landscape. As part of developing this National Community Energy Strategy a survey was undertaken, with participation from 38 community energy groups. 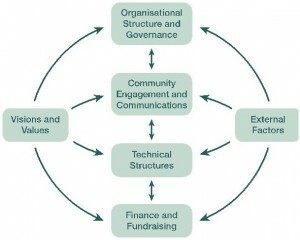 The models section of this survey first asked groups to identify which stage they are at in the development of their project (Whilst significant work has been done to collate, describe and share the various “models of community energy” operating or in development through organisations such as Embark, there is still opportunity for greater development and promotion of models as they more rapidly emerge on the Australian landscape refer to the Community Energy Model Maturity Index in Appendix D for a description of project stages) and then based on the stage of development asked groups to identify the features of their project according to the five model factors: vision, organisational structure, technology, finance and funding, and community engagement as well as pertinent external factors. It should be noted that applies to community generation projects more than those focussed on community efficiency programs or retailing. Other models of community energy beyond the six outlined, both operational and in development, including the nuances of how they work. The key success factors for these models. Elements of community energy models that have been attempted and have not worked and will not work in the current operating context. Noting that Appendix D does document some of the key constraints. The process of how existing models of community energy can be adapted to new communities and new contexts. The key components and steps in developing a new model of community energy. 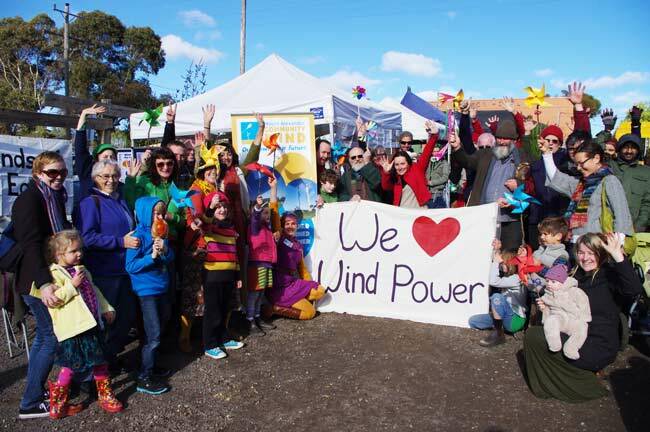 Community-Owned Renewable Energy: A How to Guide developed by the Community Power Agency in 2014 with funding from the NSW Office of Environment and Heritage. See Appendix E for summaries of the key behind the meter solar models of community energy, which are the main model types that are viable in the current context. Hicks, J., Ison, N. Gilding, J. & Mey, F. (2014) Community-owned Renewable Energy: How to Guide, Community Power Agency, www.cpagency.org.au.